Successfully Added Telephoto Lens for iPhone 5 -12x Zoom to your Shopping Cart. Telephoto Lens attachable for iPhone 5 mobile adding to its already impressive specs by adding 12x zoom and a f20mm sized lens. 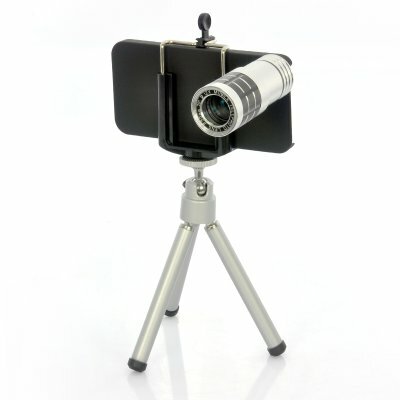 Attaching directly to your iPhone 5, this telephoto lens will instantly be giving higher quality for picture taking. Wanting to improve your photos? Then this telephoto lens attachment is ideal to bring out the best quality pictures possible. 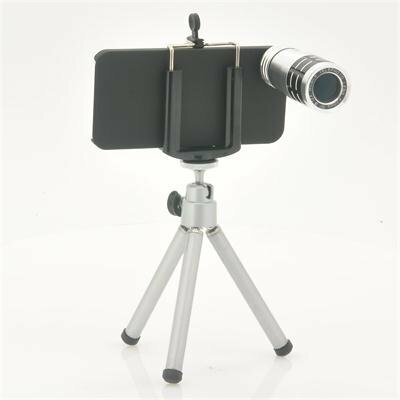 This package also includes a mini tripod stand so that you can fix your iPhone to the tripod for taking stable and high quality pictures. It even has an iPhone protection case too as an added extra. value for money, very good quality. very good christmas present.